"Lebenswert bio Organic Starter Kit Stage 2"
Related links to "Lebenswert bio Organic Starter Kit Stage 2"
I love ordering from maluma. Product always comes efficiently and they include great samples. I always highly recommend them. Great product easy on our baby's tummy. We tried the other organic brand our baby did not take it well it was heavy on her tummy but this one she likes. By far the best formula I've ever come across. My baby loves it too! My baby loves this stuff! I feel way more comfortable giving this to her over the American brands. Great site too with quick shipping! My baby loves this formula! I love the ingredients! My baby absolutely loves this formula! Wonderful formula our little girl loves it ! Amazing customer service and product! Will continue to order for our children! Very satisfied with this great formula and company! 10 business day international shipping that's free! Can't beat that. Just starting Lebenswert stage 2. We've been on stage 1 and love it! We love this product . It is far better than what is available in Canadian stores and this website offers the best deals when buying in bulk . From what I understand, many formulas are actually like junk food for babies. (I read this when researching the best alternative to breast milk after 6 mo. of feeding - I can't find the link now, but it was mildly terrifying...) On recommendation of a friend I bit the bullet and bought "the German stuff." Auggie seemed to enjoy it, and it has been gone for a month or so now, so we've bought the regular formula from the small town grocery store. His cradle cap is back, and after switching to the toddler drink, he developed small bumps on his chest and back. (I've often heard the state of your skin is a reflection of your nutrition.) So - I'm back to buy the next round. It's a big chunk of money all at once, but I feel like it's worth it. We had a great experience ordering with this site. It was easy and we got the delivery in time. Thank you! My daughter loves this formula. She rarely spits up. Very good product, my baby loves it! I would love to exclusively breastfeed my baby but unfortunately I have a low milk supply. So he gets 3 bottles of breastmilk and 3 bottles of Lebenswert everyday. It's easy to transition him from breastmilk to formula and he has no problems with it. We love it and we love Organic Baby Food! Customer service is always excellent and I received our package in a timely manner. Would definitely order again! I switched from Enfamil to Holle Lebenswert when I stopped breastfeeding and I am so glad that I made this decision. It tastes way much better ( at least I think so) than other formula I have bought before and the ingredients are also much healthier. It also dissolves easily in warm water with little air bubbles. I strongly recommend it to other moms. Ive had some issues with breastfeeding around 6 months and started looking into formula alternatives. I was shocked to see how much awful ingredients are in american formula! Im so glad I found out about this product and can say that I sleep well knowing my baby is getting the best product possible. I absolutely love the formula, and my baby loves it too. The shipping was great, it arrived on time and purchasing was no hassle. I would definitely recommend to anyone looking to by this formula or any other sold in the website. We love this baby formula and highly recommend this seller! The milk is amazing. Our daughter weaned herself at 7 months and next to breast milk, this is the best formula money can buy. I like that they mark the shipment box with a label saying it contains organic formula and should not be irradiated. It does take a long time to receive the order so plan ahead and order long before you plan to run out. very pleased with this company. 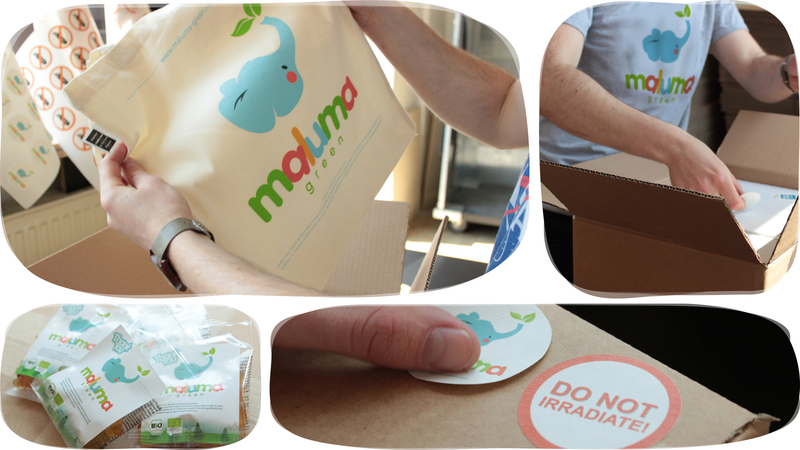 Always receive in a timely manner with updates on status and has one of the best packaging of items for delivery. This is now the only company I trust to buy lebenswert formula for my child. I'm very happy with my experience with organicbabyfood24. My baby has been eating this formula for a while, but we live in the US and I cannot buy it locally. I've tried other websites, but ran into inconsistent supply, which is very stressful when a baby needs food. I wasn't willing to switch to another formula and a friend recommended your site. It was time to switch to stage 2 for us, so the starter kit was a great option. I used expedited shipping option, which is expensive, but it was worth it to me at the time. I know that delivery can take a while, so I plan to order in advance next time. I was pleasantly surprised by the sample goodies that were included with my order. My baby enjoyed those! Our family is extremely happy with this product. Our baby transitioned from momma milk to this with no issues. Excellent formula! A bit on the expensive side but I find it well worth the money. 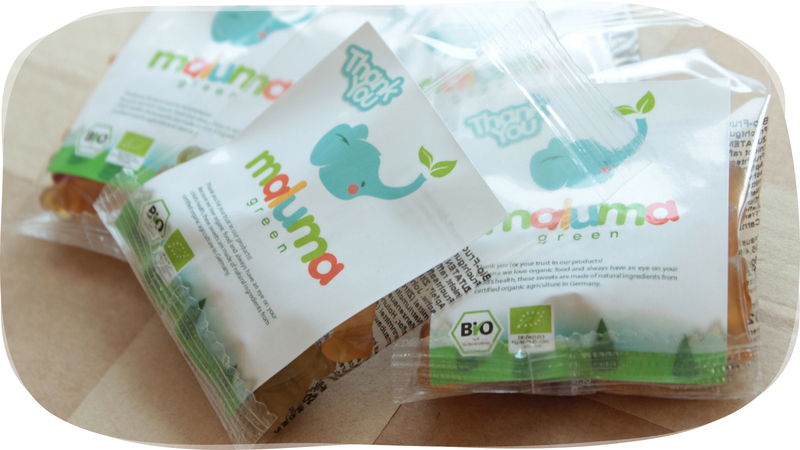 Awesome product and buying in bulk is an awesome way to save money! I believe breastmilk is the best thing you can offer to your child. However, some moms like myself have to work full time, so switching to formula wasn't easy and required a lot of research on my part. I found this product is the best you can find on the market today. Our baby girl loves this formula. I'm feeling at peace knowing she is getting top ingredients in her formula. I strongly recommend this product and Organic Baby Food offers bulk purchases which can save you a lot of money over first couple of years. You have to plan ahead as shipment is from Germany and sometimes could take 1-4 weeks depending on the time of year. My daughter loves the Holle Lebenswert...less gas, spit-up, and acid reflux! And I can feel good about giving her formula that has only the best ingredients and no GMOs-I wouldn't feed her anything else! This formula is great! I feel good about knowing I am giving a high quality product to my son since I was unable to exclusively breast feed him. He loves the milk, never had any issues and one of the best things is it does not have that terrible smell most formulas have. If you want the best for you baby you need to consider this formula! I am very pleased with the service from Organic Baby Food! The fact that they offer special bundle discounts and ship on time is great! The Lebenswert formula is rated one of the best in the world for its quality and ingredients. I wouldn't feed my baby girl anything else! My baby loves this formula! Just started using it and before was using stage 1 which she also loved! I am so glad that I can feel confident knowing that my baby is being nourished with the best ingredients and is not ingesting harmful preservatives or synthetic ingredients used in so many formulas! I am so thankful for the company making this available to ship to the US! This is the best formula closest to breast milk! My baby loves it and he is growing strong. I'm so happy I found this brand and this website to order from. I love the saving from buying in bulk.They are always very helpful and I've never had any issues with the shipping. I recomended this site to all the moms I know. The product and the service are both outstanding. We are so happy we found this formula as we did not want a bunch of additives in our daughter's milk. The formula arrives at our house in perfect condition. We are so happy we found this company. Quickly packaged to send out to me. Excellent condition and arrived swiftly! Would absolutely purchase from them again. From service to product, everything is excellent. My baby loves this formula! Had no trouble at all transitioning from breastmilk to this. Beyond happy with the customer service. I prefer holle stage 1 because it doesn't have maltodextrin but overall extremely satisfied with this formula. I wouldn't feed my baby anything else. Great company with awesome customer service. Love having a company I can trust across the globe. I prefer stage 1 formula because when you buy stage 2 holle switch to maltodextrin. I find that very sad but still over all a superior formula to any we have in the USA. My babies love this milk! It's so much better than American formula to supplement with. Love this. Live in the states and it's hard to get but so thankful for this company and the availability of a decent formula unlike what you find stateside. Great, reliable service! So glad we found this site filled with the best formula that my little one loves! I highly recommend Holle lebenswert. I am extremely happy with the baby formula. My baby enjoys it. This is definitely the best product you can find. Love it! And so does the little one. 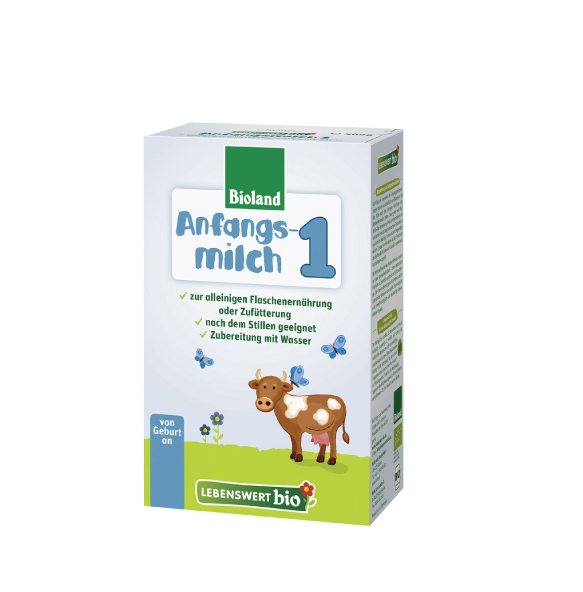 If you have do formula Lebenswert is what you want....if you order Lebenswert organicbabyfood24.de is where you want to order from! My baby loves this formula. She had problems with about 3 other formula brands with constipation and gas. We have used both Holle and Levenswert and she has thrived on both and in very good health and weight (according to pediatrician). She is now 1 years old and has been on Holle Lebenswert for almost a year. Great formula, Great customer service, and speedy delivery! Holle and Holle Lebenswert are the only formulas that I buy. As an American, my domestic formula is garbage, and I wouldn't have access to Holle with the affordable pricing if it were not for Organic Baby Food! I also love OBF's website! Our baby loves Holle Lebenswert, and she is thriving on it. Thank you! Organic baby food has the best customer service ever! Within less than a day of writing to them, Laura replied my email (and many emails later on) and was always prompt and ready to help! Plus the formula is the best one (to me) and the closest to breast milk.. When i couldn't breastfeed my daughter I researched a lot for a more natural formula, without the unnecessary chemicals and was very happy to have found the Holle Lebenswert. I have made many purchases and will continue to. Thank you to all the staff at organic baby food! Amazing!!!! My baby thrives on this stuff! He has never had any gas or constipation issues. Worth it!! Very happy with Lebenswert. I have tried other organic baby foods, and they just do not smell or taste like real mothers milk; this one did. I have been giving my son Holle since he was born, I later transitioned to Lebenswert. Both are amazing products, he has no digestive or gas issues and is a very happy boy! 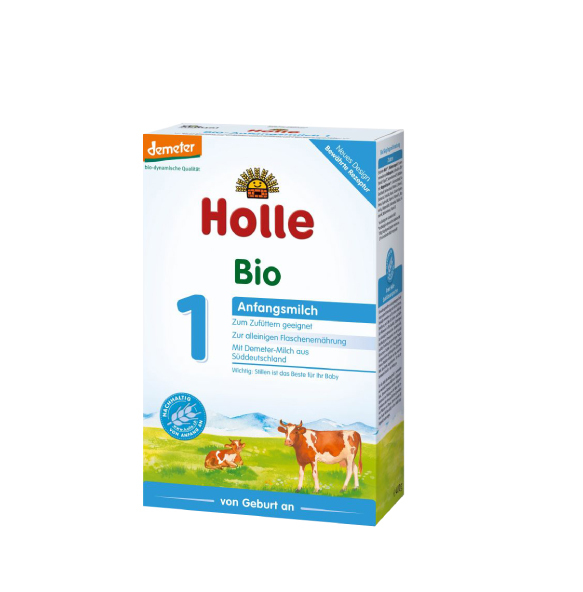 We have been feeding our little son with Holle formula since he is three months old, since i could not find any other formula that was pure and organic and free from unwanted stuff. The formula tastes good and our little one likes it too. This is definitely a very good quality product and recommend to everyone who wants to offer their baby the best food after breast milk. Our five month old baby girl has been fed Holle Original and Holle Lebenswert since she was a few weeks old and she is thriving. We began with Holle Original and switched over to Holle Lebenswert because of the better price. Our baby loves the taste of both and we didn't notice any change in the way she digested. Thank you for this product. We feel that we can rest assured knowing that she is getting the best formula nature has to offer. I can't say enough good things about this milk... no digestive problems and taste delicious! I highly recommend this product. I think is the best baby formula milk. Extremely satisfied with this product, would recommend to anyone! My son has had no digestive problems since i started feeding him Holle Lebenswert to supplement. Thanks!